The Firm is closed for the regional Patriots' Day holiday. 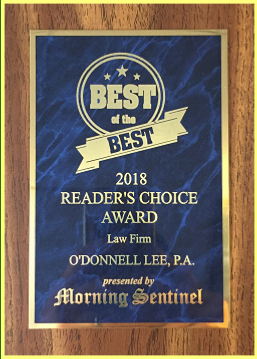 O'Donnell Lee received the Best of the Best Reader's Choice Award for Law Firm in the 2018 Morning Sentinel poll. Founded in 1996, O'Donnell Lee is a general practice law firm of seven lawyers, providing comprehensive representation to personal and business clients with a dedication to the highest professional standards and individual client attention. Our services range from personal injury and family matters to complex business transactions, litigation and planning issues. 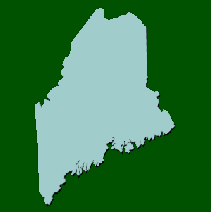 Located in Central Maine, we have a commercial law and real estate practice extending from midcoast Maine to Aroostook County. Our Maine-Florida estate planning practice gives our snowbird clients the assurance of knowledgeable personal attention for all their estate planning needs regardless of season or residence. Butler Whittier LLC merged with O'Donnell Lee, P.A. in October 2017, further enhancing our real estate title and settlement division, which processes over 1,000 transactions per year. We are very proud to support the traditions and people of Maine through our commitment to the communities and people we serve. Broken link or suggestions for resources you'd like available here? Email the webmaster at tom@watervillelaw.com. All original content Copyright ©2011-2018 O'Donnell, Lee, P.A.